Whether it is standing up for the rights of stuntmen in the Indian film industry or training girls for self-defence, supporting the Swachh Bharat Abhiyan or narrating the story of a man who took up the cause of menstrual hygiene -- National Award-winning actor Akshay Kumar has dabbled in it all. He says his social work is a result of compassion towards humanity. His powerful videos have become a rage among the fans and through them, he actively expresses his thoughts and discontent regarding the socio-political structure of our country. But this man is not all-talk-and-no-play. His ideas have been shared, appreciated and even, executed. He is the role model our generation desperately needs. From launching insurance scheme for stuntmen in Bollywood to extending monetary help to families of deceased jawaans, Akshay has done it all. Read on. Akshay helps the farmers in need: To help the drought-hit farmers in Maharashtra, he gave a financial aid of Rs. 90 lakhs to help 180 families of the farmers who had committed suicide. He also made a contribution of 50 lakhs to Salman’s charitable trust Being Human. He also donated Rs 1 crore to Chennai’s flood relief. He has launched a martial arts school to provide self-defence training to women for free in Mumbai and has trained more than 4000 women: Kumar, who is a sixth degree black belt in Karate and has earned the title of Shihan, or teachers' teacher, wants to use his training to help out too. "The thought that a man can think he can overpower a woman whenever he wants to and take advantage of her when she is defenceless is wrong," Kumar told The Telegraph. "I want to use the greatest gift and assest I have with me for the greater good - martial arts." 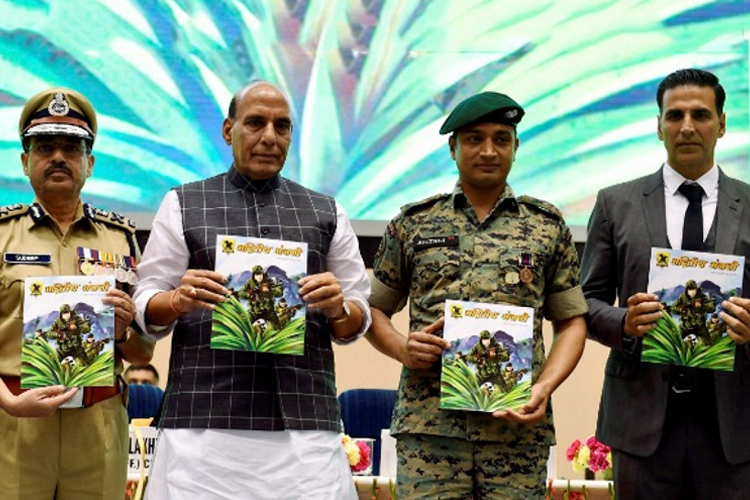 Akshay proposed and then eventually launched Bharat Ke Veer app and website to help people make monetary contributions to the families of martyred jawaans: Akshay Kumar has donated generously to the Indian soldiers and their families in need. An avid philanthropist, Kumar realized that a lot of Indian citizens wish to donate for the same cause but end up losing their money to crooks. This is when he suggested launching an app that could help donors and martyred soldiers' families contact each other directly. 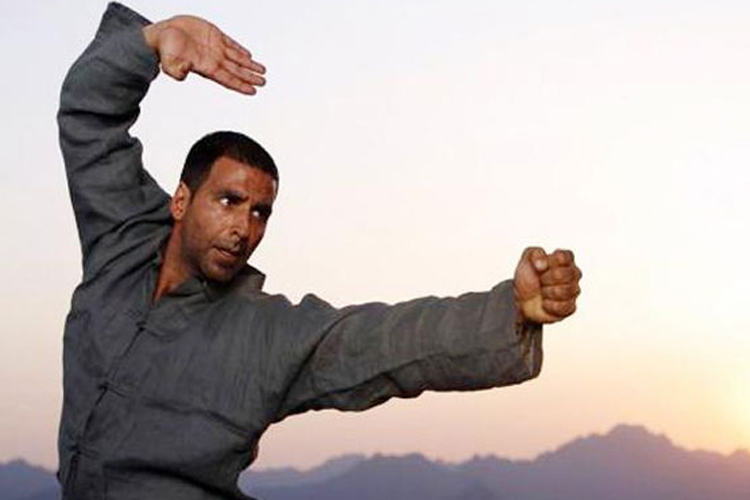 The idea was soon taken into consideration and with the help of the government, Akshay Kumar launched Bharat Ke Veer. When he helped establish a special insurance scheme for stuntmen and stuntwomen: Almost a year ago, Akshay had voiced his concern regarding the ill situation of stuntmen and stuntwomen in the film industry, through an open letter. With the help of renowned surgeon Dr. Ramakanta Panda, the actor has devised an extensive insurance scheme that secures the future of almost 380 stuntmen and stuntwomen of the film industry. Akshay's actions speak for the man that he is. It is heroes like him that we need more than men and women with superhero powers in the movies!